Don’t let fear keep you from getting the care you need for a strong, healthy smile. With modern sedation dentistry, Dr. Cheng, Dr. Thorburn and Dr. Tijerina can alleviate your anxiety for a calm, relaxing dental experience. If you're a candidate for oral sedation, we’ll give you a pill to take prior to your appointment. After you are comfortable and relaxed, we'll perform your dental work. For patients who need extensive procedures, we can perform hours of dental work with sedation dentistry. You’ll be conscientiously monitored throughout your procedure. As the sedative wears off, you’ll have little or no memory of your dental treatment, just pleasant recollections of your time with us and a beautiful new smile. For your safety, we ask that you have a friend or family member drive you to and from your appointment. Get the care you need from a dental practice you can trust. Call today to schedule your sedation dentistry appointment with Dr. Cheng, Dr. Thorburn and Dr. Tijerina. Our Fort Worth office is conveniently located for our patients in Burleson, Crowley, Granbury, and surrounding areas. 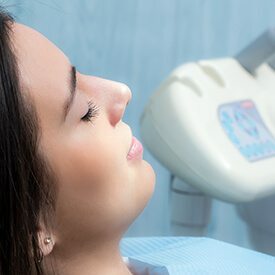 Our goal is to always provide patients with a pain and stress free dental office experience, and we utilize a number of sedation options in combination with gentle dentistry services to keep patients completely relaxed during treatments. Our state-of-the-art Solea laser system also allows us to offer more comfortable treatments without the use of needles to inject local anesthetics. 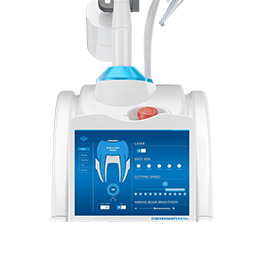 Instead, Solea lasers allow us to prepare teeth before restorative and cosmetic dentistry services with minimal discomfort and without the use of drills or needles to inject anesthetic. We can also use Solea Lasers for soft tissue treatments.